GlobalLogic Walkin Recruitment For Freshers in Gurgaon – 2nd March 2017. 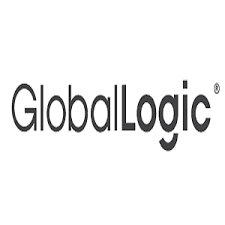 GlobalLogic Job openings for Graduate students as Associate, Senior Associate – (NonTechnical). Applicants must have Excellent written & verbal communication skills. GlobalLogic has announced a notification to fill up multiple vacant positions. Interested candidates can check them and attend for the openings on or before the last date. As the competition is heavy for the jobs we request the candidates to start their preparation as early as possible. Generally, Candidates will be selected for the Position only if they perform well during the Selection process. In this post candidates who are willing to attend can check out GlobalLogic Placement Papers and MNC Online Test Pattern Pattern for better Preparation. Candidates can also check other IT Jobs on our site All India Jobs for more updated and fresh Official Information. Shift Timings : Should be flexible for both the shifts ( 7.30 am – 4.30 pm & 4.30 pm – 1.30 am). 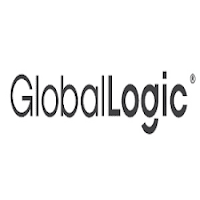 With a team of over 10,000+ employees, GlobalLogic is headquartered in the United States and operates design and engineering centers around the world, extending the benefits of its authentic global presence to customers in digital media, electronics, healthcare, infrastructure, finance, retail, and telecom industries. In India, GlobalLogic has its engineering centres at Noida, Gurgaon, Hyderabad, Nagpur and Bangalore. We hope the information provided on GlobalLogic Recruitment is helpful for your job search. If this job doesn’t suit you then you can look for more Freshers Jobs in our Website. Keep visiting All India Jobs for regular Job Updates, off campus drives, walkin interviews, referral and many more.